Maria is excited to be leading a keynote presentation and workshop at “Confidence UNG” for female college students at the University of North Georgia. Click here for details. 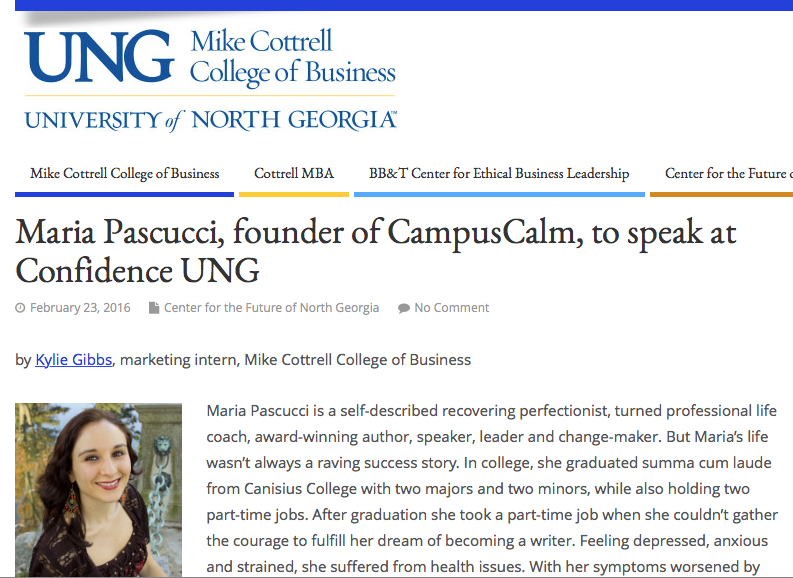 If you’d like to hire Maria to speak on your campus, visit the speaking page on the Campus Calm website or contact speaking@campuscalm.com. This entry was posted in From Maria Pascucci, the Founder of Campus Calm. Bookmark the permalink.